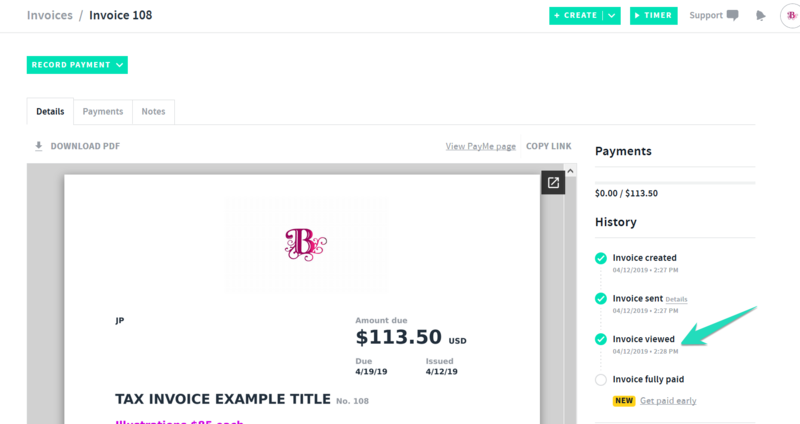 When you send an invoice with AND CO, we alert you the second your client viewed the invoice. Once you have sent an invoice off to your client they will receive a email in their inbox. The email will be sent from you, your name listed in the settings > account > user name listed. Once your client selects the email to view the invoice, you will immediately get a email notification and in app notification advising you that your invoice has just been viewed. You can also select the invoices tab >invoice and see via the invoice history that the invoice has been viewed.